Applying lipsticks or lip colors with a lip brush or lip filler gives much better and defined results than smearing lipsticks directly from the bullets. As I am a lazy person, I rarely blot my lipsticks but guys it gives amazing results. 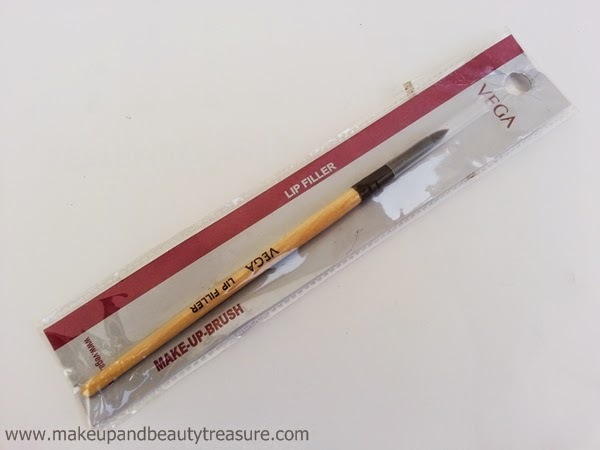 I bought Vega Lip Filler Brush with Vega Foundation Brush (Read my review HERE). Today I am going to review Vega Lip Filler Brush. 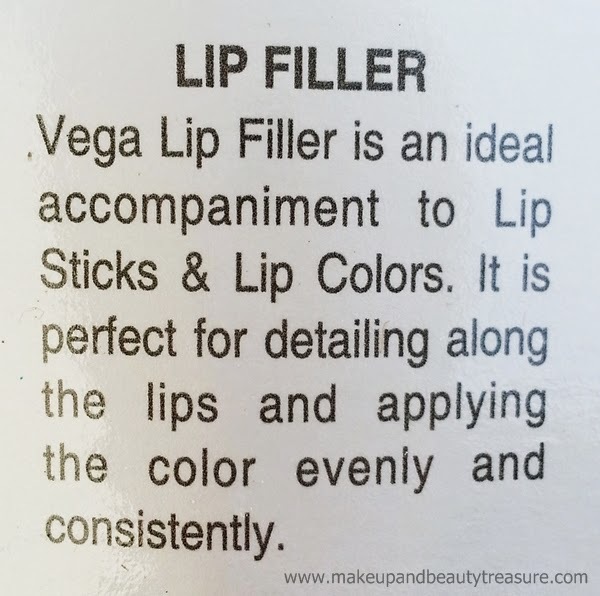 Vega Lip Filler comes in a thin clear plastic reseal-able case with all the information written at the back. There is a cylindrical plastic protector on the brush that protects the bristles from getting damaged or out of shape. The brush is made of yellow-ish brown wooden handle with black metal in between the handle and brush fibers. When I first got the product, the bristles were all set firm with a point to the center of it. It was too firm for my liking. I wiped it over Faces Lip Palette and it was poking over the lip color rather than wiping. I simply clean my lip filler with a baby shampoo and voila it came out in perfect condition. 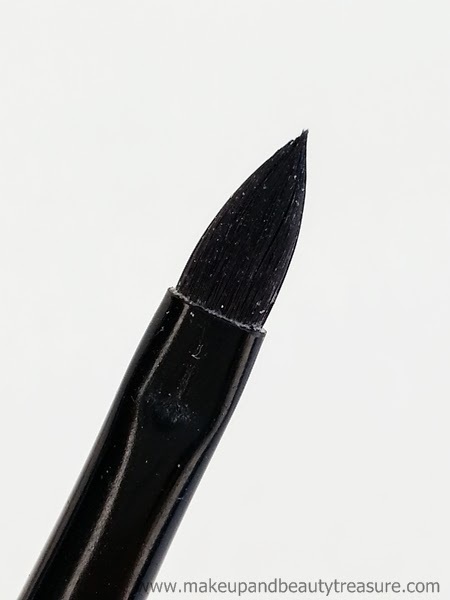 The bristles of the brush are very soft and tapered to a point for precise application of the lip color. They are made of good quality synthetic fibers and feel soft on the skin. The brush is quite light and easy to hold. It is specifically meant for applying lip colors or lipsticks precisely on your lips. The lip filler picks and applies the lip colors smoothly on the lips without poking your lips. Due to its pointed tip, it is easy to apply lipstick on the cupid bow and at the corners of the lips. It applies the lipstick precisely and does not make it bleed. I love using lip filler when I use bold and bright lipsticks. It makes the lip colors look really subtle with a smooth finish. Cleaning the brush is really easy. I simply stir it around in a baby shampoo and rinse it with cold water. I clean lip brushes after each use and allow it to dry naturally. I have not noticed a single shed of the brush yet which is highly impressive. • The bristles of the brush are soft and smooth. • The bristles do not shed. • Applies the lip colors smoothly and precisely. • You need to wash the brush as it comes way too firm. 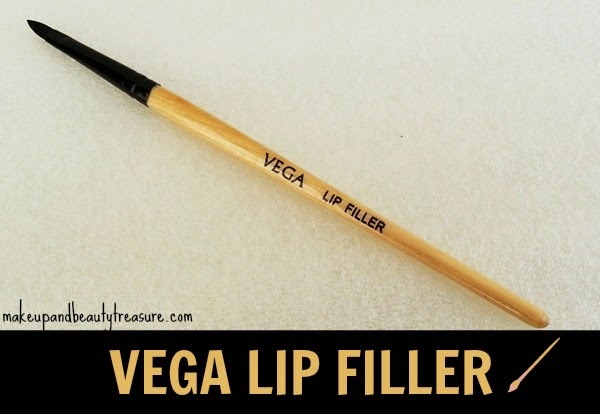 Vega Lip Filler is an excellent brush for the price. It applies smoothly without bleeding the lip color and is easy to hold. I have used it many times and have not seen shedding of the bristles yet. I would definitely recommend it to you if you are in search of pocket friendly brush. Have you tried Vega Lip Filler? How was your experience? Share in the comments section below!